The 2018 Homeless World Cup takes place in Mexico City from November 13th to 18th and like every tournament, Ireland will send a representative team. Ahead of the tournament, I was joined on Team 33 by Sean Kavanagh who is editor of Ireland's Big Issue magazine and the founder of the Irish Street Leagues which provide an outlet for those in homelessness, suffering with addiction and other issues, running year-round tournaments around the country, with some of those participants then going on to represent Ireland in the World Cup. 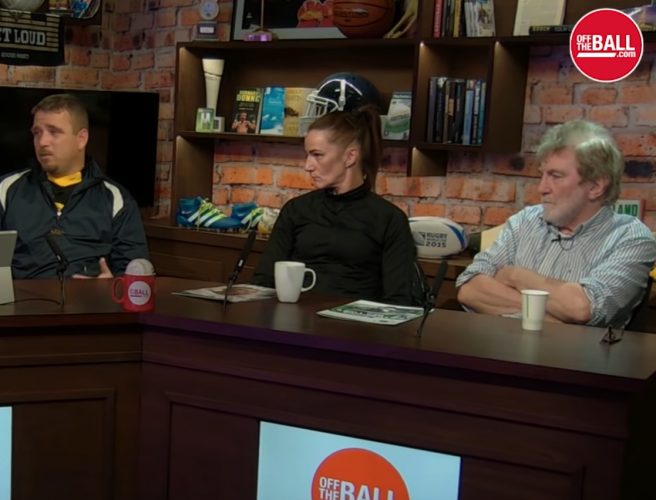 Two people who went through that journey from homelessness to finding hope in the Street Leagues and then playing for Ireland at past World Cups are Tara McNeill and John Farrell. They joined me in the Off The Ball studio for an in-depth chat about the World Cup, their own experiences when they were homeless and their involvement in the Street Leagues. You can watch that in full above on the video player or listen back in full on the podcast player. So we also discussed the rise of E Sports, an industry that's becoming quite lucrative. Apart from Gary Neville and Arsenal Fan TV founder Robbie Lyle, recent interviews on Team 33 include former Man United cult hero Andrei Kanchelskis, former Ireland striker Niall Quinn, ex-England international Carlton Palmer, former Newcastle and Everton left back Alessandro Pistone, Chelsea legends Bobby Tambling and Paddy Mulligan, Dutch legend Johan Neeskens, ex-England striker Darius Vassell, Liverpool legend David Fairclough, former Ireland midfielder Mark Kinsella, USA captain Eric Lichaj and former Everton forward Tomasz Radzinski. Plus our in-depth chats with Tony Coton, Packie Bonner, Nobby Solano, Ron Atkinson and Alan Curbishley are still available on iTunes. You can find them all in one place by subscribing to Team 33 on iTunes.